The "24 Hour Sun" (Sole 24 Ore) dedicated a long article to the Lionello Industrial Park of Loppiano last April 3. An interview with the author. That it holds academic dignity is already a well-known fact: from the honorary degrees given to Chiara Lubich, to the work of economists like Luigino Bruni and Stefano Zamagni, to the citations in the encyclical Caritas in Veritate - the Economy of Communion is already, for some time now, object of growing attention and study in the economic world. What´s perhaps missing is corresponding attention by the media. But now, even the biggest Italian economic daily newspaper, Il Sole 24 Ore (The 24 Hour Sun), landed at the Lionello Bonfante Industrial Park in Loppiano (Florence, Italy), with journalist Paolo Bricco. 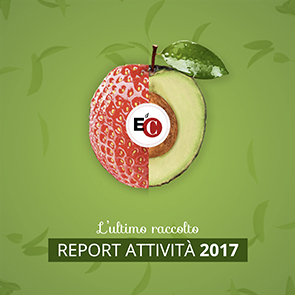 Last April 3, the newspaper of the General Confederation of Italian Industry dedicated a long article to this productive operation, in which 25 businesses work according to the principles of the EoC. How Bricco arrived to the shores of the Arno river, he tells us himself, "First of all, my wife is part of the Focolare Movement, and she introduced me to this reality. But there is also an intellectual reason (I came), because I deal with the history of economic theories." In your article, you defined the members of the Focolare Movement as "strange Christians". What did you mean exactly? "I mean to say that the Movement has very strong specifying elements that distinguish it from other ecclesial realities. In the particular case of the Economy of Communion, we´re dealing with economic thought that comes from far-off and inserts itself into the classical hypothesis of a "third way", in which falls all Catholic economic thought." So it is this, then, that you refer to in defining the movement as "anti-consumerist, but not pauperistic?" "Exactly. We´re not dealing with a pauperistic movement, because it moves away from Marxist theory. It re-enters into a Mediterranean economic idea compared to Anglo-Saxon capitalism, which has shown all its weakness in the last two years. This is also why the EoC is a particularly interesting, up to date, economic theory." Is there something in particular that touched you or that provokes you in this theory, keeping in mind that you, as an economic journalist, are normally faced with a reality that is very different? "In reality, no. As I said, coming down to it, we´re dealing with an economic theory, however much a minority, that has strong dignity. The fact that numerous scholars are studying it today confirms this." Do you believe that you´ll speak more about the Economy of Communion or that the Economy of Communion will make itself spoken about? "It is difficult to say a priori. However, if this reality grows, the attention given to it by the media will come on its own, even if to verify if this reconfiguration of economic relationships is possible. I believe that it would be important that the media not make prejudices, either positive or negative, about the EoC."